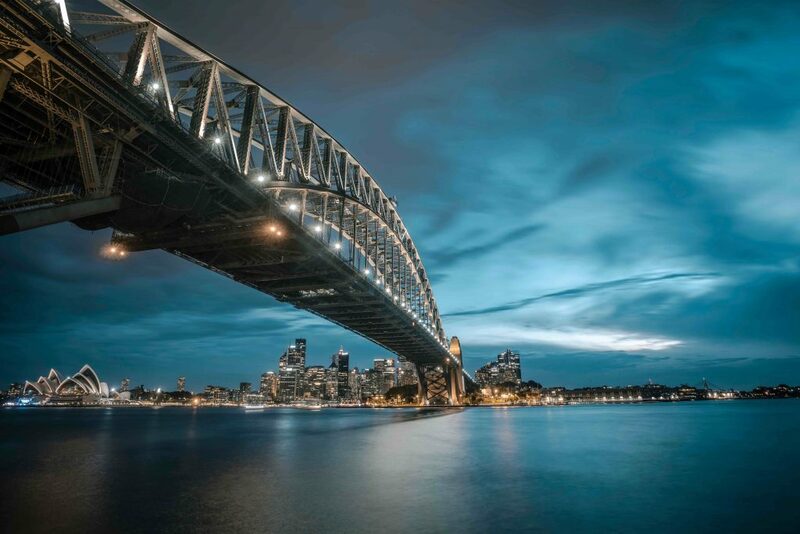 Sydney is ranked as the world’s second most expensive housing market, closely followed by Melbourne at number five, reports the 14th annual Demographia International Housing Affordability Survey. Out of 92 major metropolitan markets, Sydney was ranked the second least affordable, behind Hong Kong, for the third year in a row. It was followed by Vancouver and San Jose, California, with Melbourne rounding out the top five—up one place from last year’s sixth place ranking. Nationally, Australia was ranked as the third least affordable country behind New Zealand and Hong Kong-China, notes Fairfax Media. 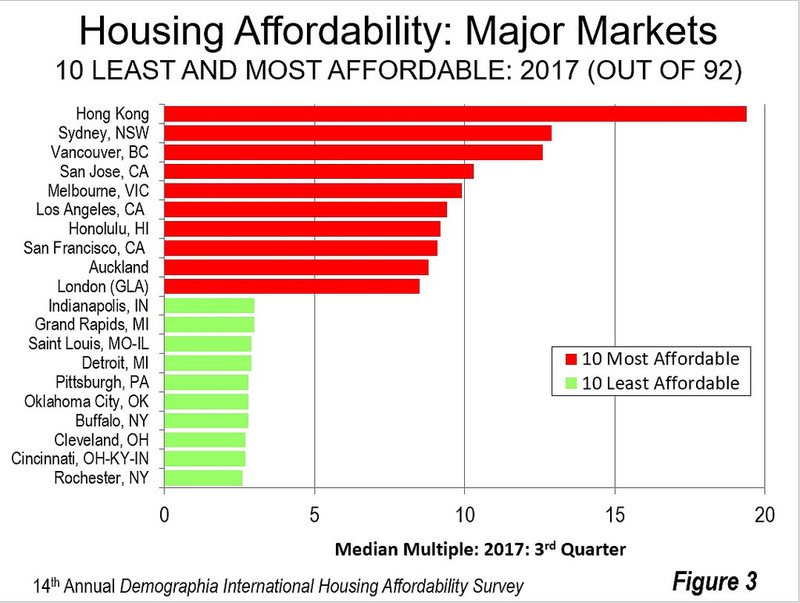 Australia is the world’s only nation with two major cities in the top five and has 15 graded “severely unaffordable”, the highest category based on a comparison of median price growth and median income, notes the AFR. Ballarat, Bendigo, Bundaberg, Canberra, Cairns, Perth, Hobart, Brisbane, the Fraser Coast, Adelaide, and Geelong were all rated as “severely unaffordable” by the Demographia model. All five of Australia’s major housing markets—cities with populations of more than one million—are considered to be severely unaffordable. The few affordable areas in Australia are typically mining centres where the property market slumped as mineral prices fell and exports diminished. The survey blames Australia’s poor housing affordability on its urban containment policies, which aim to curb the growth of urban sprawl by encouraging greater density in existing housing areas. “Virtually all the severely unaffordable major housing markets … have restrictive land use regulation, usually urban-containment policy,” report authors Wendell Cox and Hugh Pavleitch wrote. Urban containment is a policy in which housing density is increased, usually by building more apartments, in established residential areas. It’s a policy which also aims to limit (or prohibit) new housing development in the fringe areas of a city. “Australia’s generally unfavourable housing affordability is in significant contrast to the broad affordability that existed before implementation of urban containment [also called ‘urban consolidation’],” Cox and Pavleitch argued. CoreLogic’s research director Tim Lawless told the ABC that he disagreed with Demographia’s findings on Australian property prices. Mr Lawless said Sydney dwelling prices were nine times more than household incomes, and Melbourne’s were 7.5 times higher. As for the other Australian capitals, they were slightly lower than Demographia’s findings. “The big difference in results is because Demographia uses ‘house’ price figures, while CoreLogic uses ‘dwelling’ prices”. In other words, CoreLogic compares household incomes to the price of Australian apartments and houses, whereas Demographia compares incomes with just house prices. “Regardless of the difference in readings, affordability is pretty tough in Australia, particularly Sydney,” Mr Lawless said. University of Sydney planning and policy expert Professor Peter Phibbs agreed the Demographia figures would be different if apartments and rental properties had been included. “In a place like Sydney…we’ve been building more apartments, increasing supply in a way that Demographia doesn’t account for,” he told Fairfax Media.